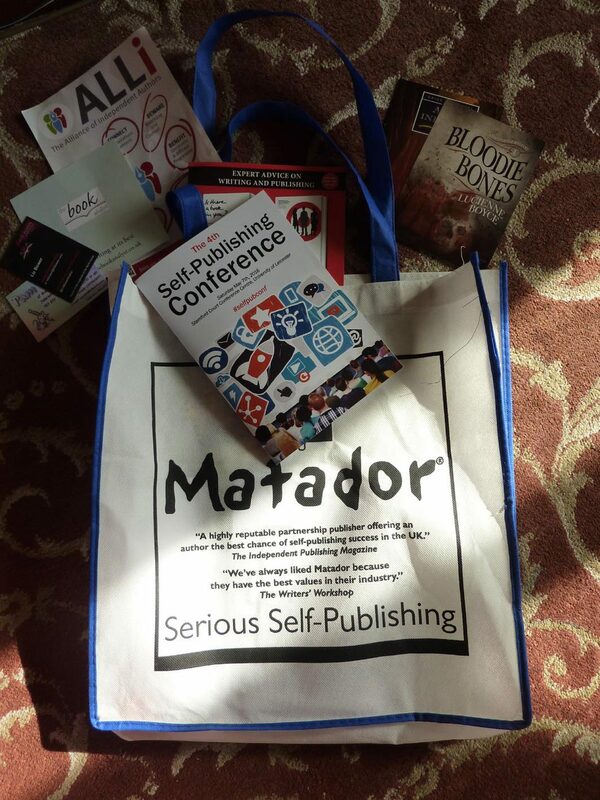 On Saturday I attended the 4th Self-Publishing Conference in Leicester, organised by Troubador Publishing. It was my first time attending this annual event, so I was a little nervous. I have been to Family History Conferences before, but I know family historians are very friendly, helpful people. What would a mass meeting of authors be like? I needn’t have worried, everyone was very nice. I am at that point: First draft written, immersed in editing, and I have started to wonder “what next?” How do I turn that big pile of words into something that readers might want to read? Perhaps I would find out in Leicester. The omens were good – Leicester City FC were crowned champions the same day. I had an uneventful drive there and arrived as Registration opened at 8.45, plenty of time for a mug of coffee and an orientation of the venue. Sitting on my own as the place filled, I was approached by a friendly lady (staff/bookseller?) for a chat. I was really made welcome. At 9.30 we all collected in the main hall for the welcome and Keynote Speech: “Publishing, the media and self-publishing.” Caroline Sanderson is Associate Editor of “The Bookseller“. She told us about what she looks for in new books and what self-publishers can do to get noticed. I wrote down the sentence “Make your book the best it can be.” The rest of the day was aimed at helping us to do just that. We separated into different groups. We had selected the subjects that interested us when we booked. My first session was on “Preparing Your Manuscript for Submission” with Cressida Downing. This dealt with how to write that all important letter to a publisher or agent. Don’t rush, wait until you really feel your work is ready. Make sure you write to the right person and send them what they ask for – if you get it wrong your time, and theirs, has been wasted. We were given information on what font to use and formatting. We also looked at some examples of what not to do. We were assured that these were all genuine – all I can say is that there are a lot of stupid authors out there! After a break for refreshments, the next session was “Historical Fiction” – of course. I was surprised how few delegates had booked for this. Perhaps there are not many historical fiction writers about – hooray! More likely they were all at home writing – boo! Or the other subjects were more popular: “Secrets of a Successful Book Launch”, “Using Your Author Website to the Full” or “Maximising Your Ebook’s Potential”. Anyway, a small group of us had three authors: Helen Hollick, Griselda Heppel and Lucienne Boyce (with her husband to talk for her as she had a sore throat.) to tell us about what the huge range of books covered by this genre. Apart from different eras, there is historical fiction for children – a sadly neglected genre at present. When I look back at all the books I read when I was young which ignited my interest in history, I despair for the future of history knowledge – it certainly wasn’t the history I was taught at school that got me interested. Then there is the difficulty of deciding if your book is history with a bit of fantasy or fantasy with a bit of history. It all depends on who you are trying to sell to. By now it was nearly 1 o’clock and I was ready for lunch. This was held in a building across the road which allowed us a bit of fresh air and a sight of the lovely sunshine we were missing. I was near the end of the queue and by the time a reached the food, some trays were empty. It didn’t really matter as there was plenty of choice left. The other problem was a lack of tables – and even chairs. But I discovered that sitting on the floor was a good opportunity to meet other delegates and soon we were chatting and exchanging personal details. I was glad I had thought to run up a few cards before I went – must get something more professional printed. We rushed back across the road, just in time for the Plenary Session in the hall. “Why I need to find a new research subject.” The blinds were now down to cut out the heat of the sun, but I think that, despite the facts, figures and graphs, most people stayed awake through this interesting talk by Professor Alison Baverstock of Kingston University. Alison has been researching the rise of self-publishing. How it has risen from a pariah in the publishing world to becoming just another way to do it. Apparently self-publishers have a very high rate of satisfaction and editors prefer working with self-publishers. “Proper” publishers beware! Most of us remained in the hall for the next session, “Self-promotion for Self-publishers.” Mike Bodnar is an independent author who wrote a book “Against the Current” about his move from New Zealand to barging around France. He entertained us with a flood of useful information on how to get your book noticed, you can find the notes here (bottom of the page). After another coffee break (I heard afterwards there was cake – how did I miss that?) the day ended with a bang. 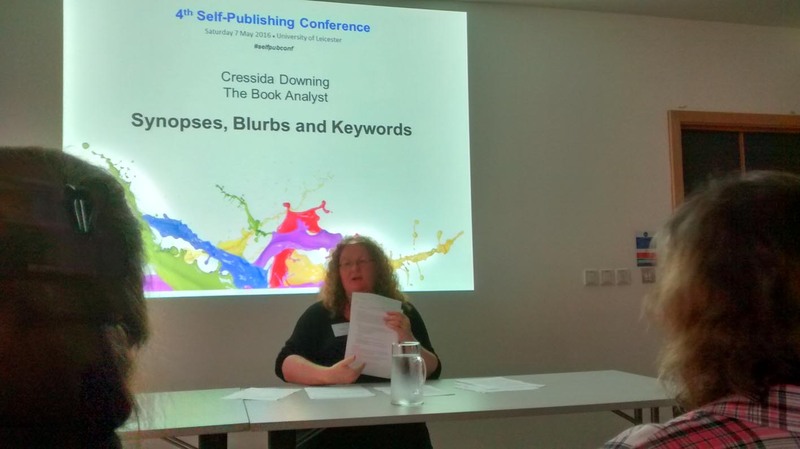 I was back with Cressida Downing for “Synopses, Blurbs and Keywords.” A couple of weeks before the conference, we had been invited to send in our own synopses for comment. Ten people had sent something in, some anonymously, and parts were read out. I discovered that mine needed work, but I had got the right idea. At least I think that was what she said – above the claps of thunder and the pounding of rain on the roof! We also had fun identifying tag lines from films and guessing books from their synopses. By the end of this session I was starting to feel I had had enough, my brain overloaded with information. I had debated whether to stay for the final Drinks Reception, especially as I was driving and couldn’t have any wine. It was still raining hard, so I had a glass of apple juice and browsed the canapés. Time for a bit more networking, then I decided to leave. I drove through another (the same?) thunderstorm and a few large puddles, but made it home safely, tired but exhilarated. So, looking back, what did I learn? 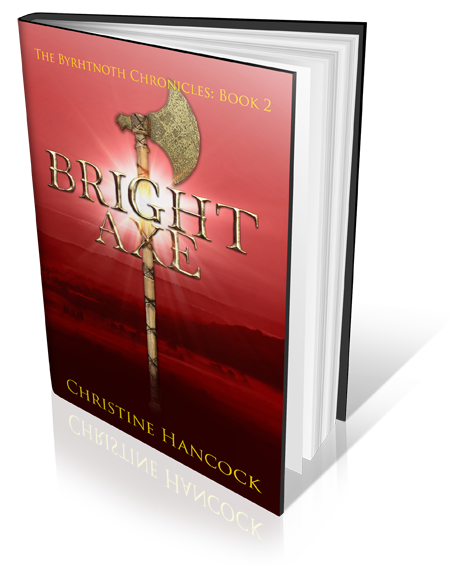 Self-publishing is not something to be ashamed of. It can cover everything from vanity publishing to something indistinguishable from the best traditionally published book. I found that people have a problem with my hero’s name. It has confirmed my decision not to use it as the (main) title of my book. That sentence I noted from the keynote speech. Make your book the best it can be! Thank you Troubador for organising the day. I’m sure I’ll be back next year. I had planned to tweet during the day and take photos. Sorry, but it seems there was so much to do, I didn’t have time. A good days work! To the ‘make your book the best it can be’ advice i would add that it is possible to be too exacting. I doubt that any writer is ever 100percent satisfied with his book, just remember that it is always quick and easy to update your manuscript after it has been uploaded in e-book formats. Good luck with the editing . I had a brilliant day at the conference too, Christine. Went home buzzing!